We’ve made some adjustments to the IMAP File filter. Suppose you would like to download all pdf files attached in your email messages. 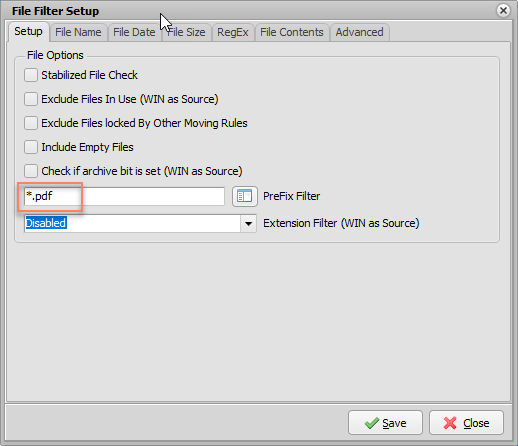 1.Don’t forget to add *.pdf to the PreFix Filter option. Very important because otherwise we’ll have too much overhead. 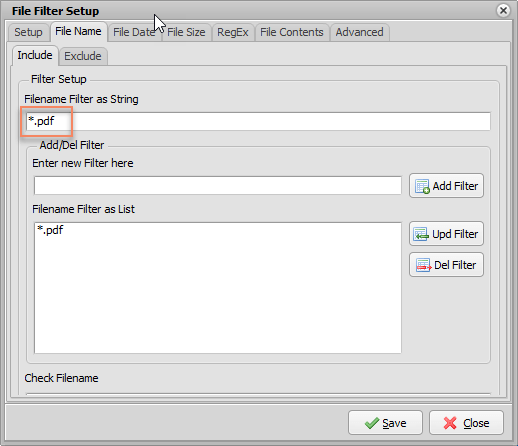 2.Secondly add the same filter to the File name filter since we only want the pdf file from the email. Other files in the message like .jpg (company logo or ..) will be ignored.